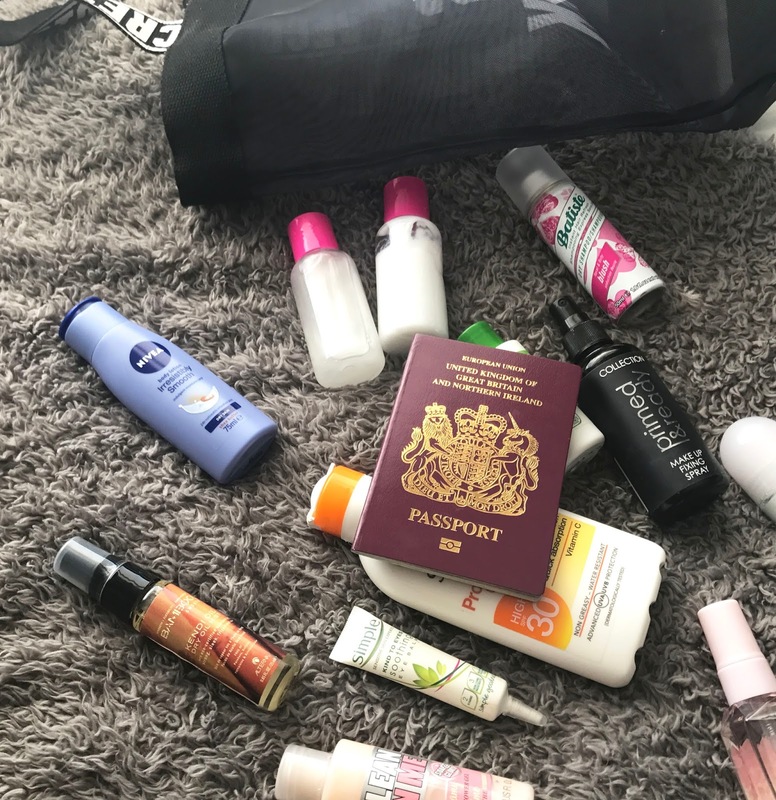 When I go away I usually just take a lot of mini toiletries, so I thought I would share with you some of the things I take and that you might find useful. 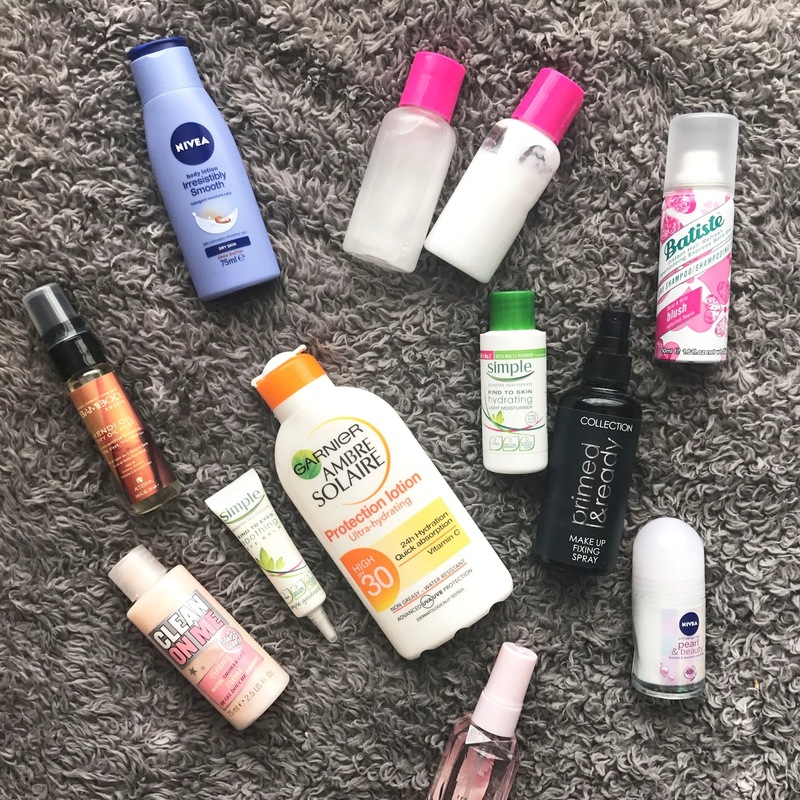 Plastic bottles: The plastic bottles from Primark are great you can get a set for only a £1, so for these I will put my shampoo, conditioner and micellar water in them as I can just decant from the full size products I have. I really don’t know why Garnier do not do a 100ml micellar water though. Shower gel: I’m pretty sure we all get those sets at Christmas which I filled with mini bath products so I save them up for when I go away as they are the perfect travel accompaniment. Hair oil: I’ve not used hair oil before but I found this spray in my beauty drawer so I thought I would give it ago and maybe I could leave my hair in plaits over night and then spritz some oil in it to hopefully give it a beachy not greasy vibe. Another hair product I am taking is dry shampoo just to keep my hair refreshed after it’s been in the sun all day. 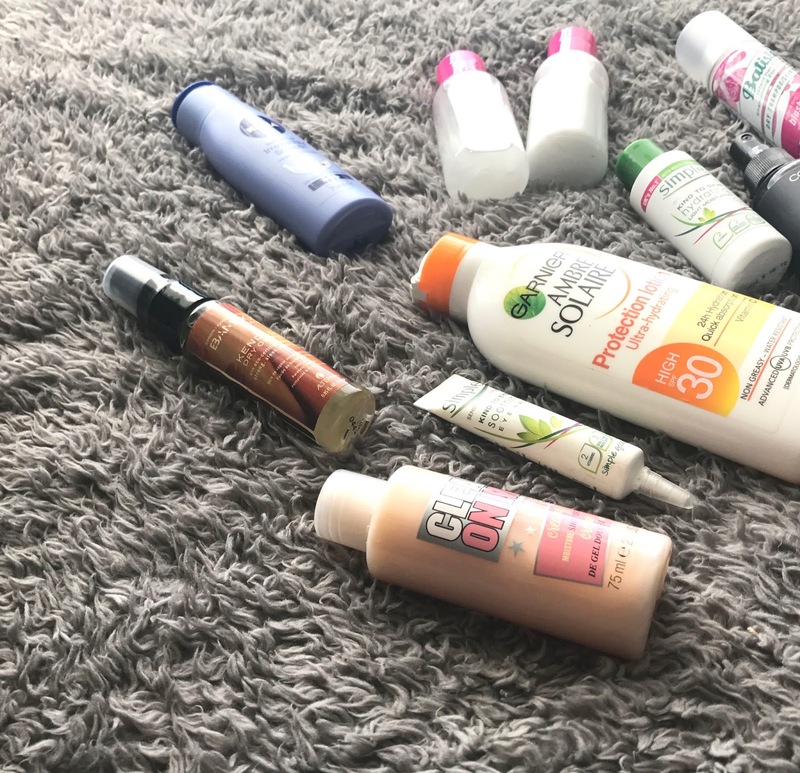 Face wash, moisturiser and eye cream: As you know I’m a big fan of simple so I always get their face products when I go away as I do like to make sure I still have a good skin care routine even though I won’t be wearing much make-up. Collection prime and ready: I am a big fan of MAC fix plus but unfortunately mine has all gone so I have gone for a more budget friendly version by Collection which will refresh my face, keeping me cool throughout the day. Deodrant & Body Spray: Not much to say really about this, I just don’t want to smell to be honest. Suncream and after sun: I would also pour some of this into a reusable bottle but this time I am buying mine at the airport to save some space and money. I usually go for Garnier sun cream and particularly in a spray bottle as it is a lot easier to apply.